If you want a truly high level gaming or content creation experience, you have to invest in a good display. All the GPUs in the world aren’t going to make Shadow of the Tomb Raider look good on a CRT monitor, and high refresh rates and resolutions have never been more important. 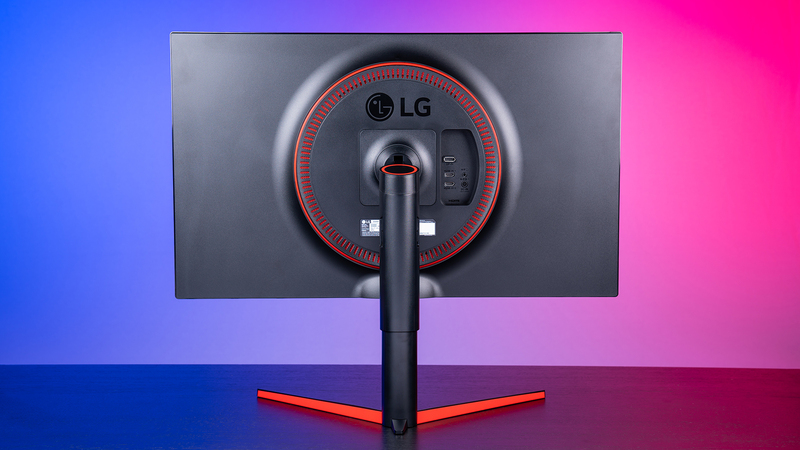 But with all that said, you don’t need to spend a ton of money to get a display with the features you need, now that we’re seeing options like the LG 32GK650F-B on the market. The LG 34UC89G has been my display of choice for months now due to the high quality panel and the attractive design. That’s why I was looking forward to checking out LG’s newer LG 32GK650F-B, due to the similar design and similar emphasis on quality panels. After putting it through its paces, I’m happy to report that the 32GK650F-B (we’ll call it 650F for short in this article) is a worthy successor, and perfect for anyone looking for a straightforward, high refresh-rate panel in an attractive shell at a great price point. You can currently pick up the LG 32GK650F on Newegg for $530.44. There are a few different versions of this display, the 32GK650F-B, the 32GK850F, and the 32GK850G-B. 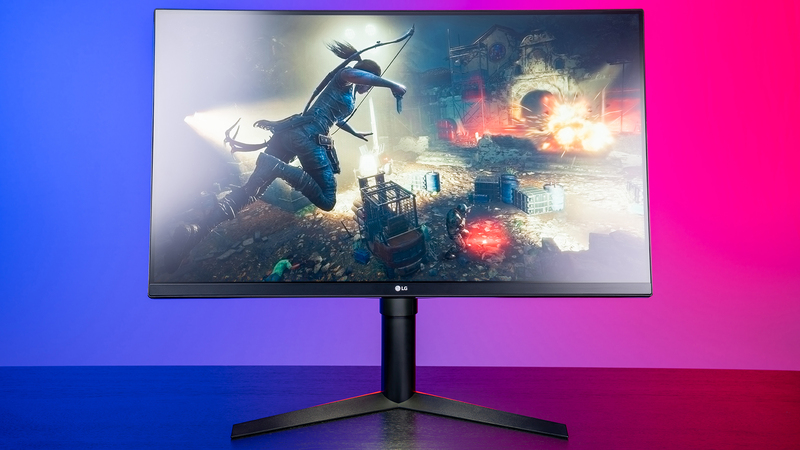 We tested the 650F, which has standard FreeSync support, and doesn’t feature any built-in lighting. 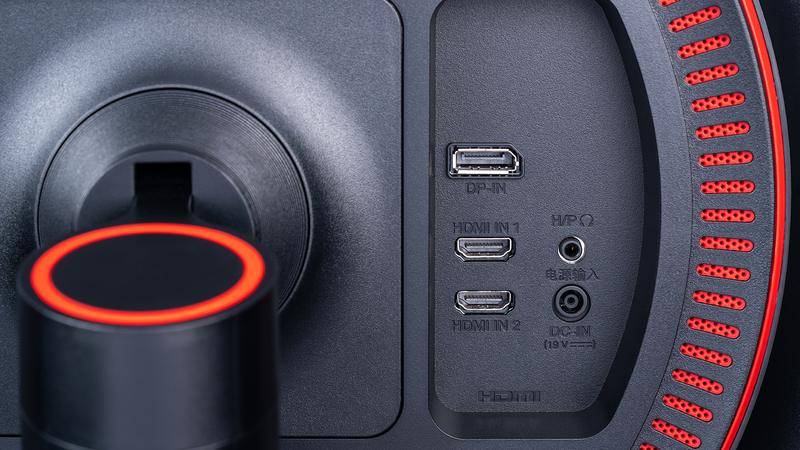 The 850F model supports FreeSync 2, while the 850G-B supports Nvidia’s G-Sync if you have an Nvidia GPU. These two versions also have integrated ambient lighting in the form of a rather lovely circular RGB LED strip on the back of the display. They are also more expensive, as you’d expect. The 650F might be the least flashy of the three, but it’s certainly no slouch in the panel department. This display has a 31.5″ QHD (2560 x 1440) 16:9 panel, and a 144Hz refresh rate. It also has a 5ms response time, or 1ms with motion blur reduction, and Dynamic Action Sync, so you can expect a fairly smooth experience, especially if you’re using an AMD GPU. 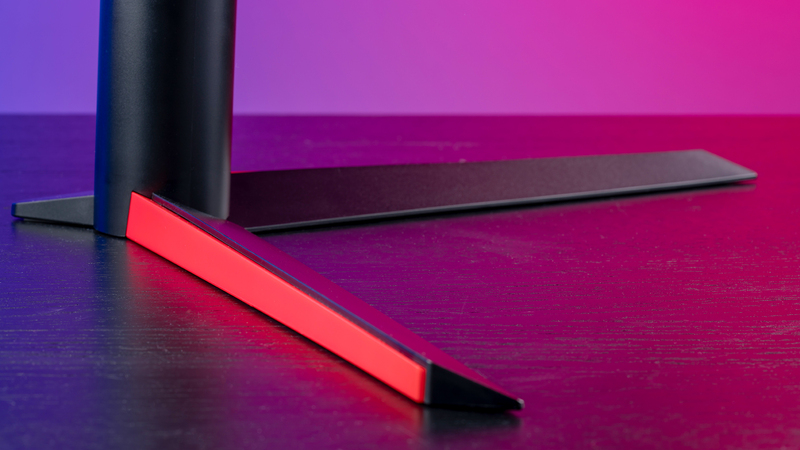 The 650-F has a design similar to my beloved LG 34UC89G, with red accents and an aggressively styled, forked base. The plastic base is light, and due to the rather large panel, it’s a bit more wobbly than I would like. It’s not going to fall, but the metal in base of the the 34UC89G added a sense of stability that I miss this time around. As far as adjustability, the 650F has fairly standard movement options, including a -5~15 degree tilt angle, a -20~+20 swivel angle, and a 90 degree clockwise pivot if you’re interested in using this display in portrait mode. The height adjustment is particularly well implemented. The level of resistance is perfect, and the display stays right where you want after adjusting. Despite the small amount of wiggle from the display, it feels all around solid, and the red and black still looks right at home in just about any decor. I appreciate that they didn’t go overboard with “gaming” aesthetic. The minimal bezel on the sides (about 0.40 inches) is also quite attractive, and very functional if you’re intending to set up a multi-monitor system. 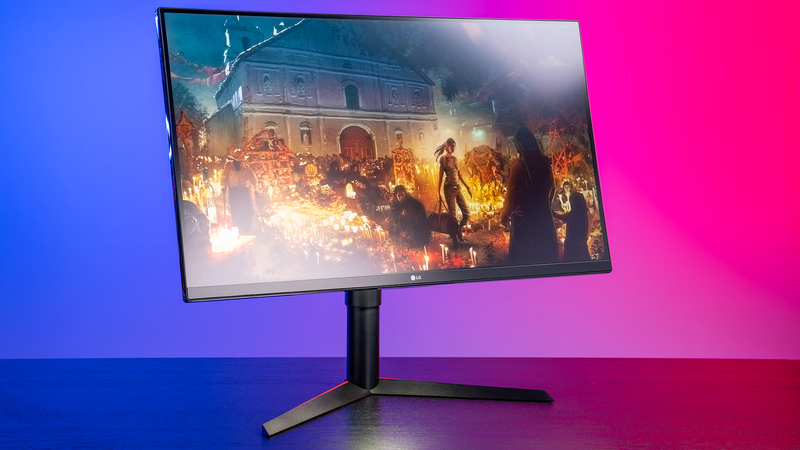 Based off of heavy use for both work and play over the course of several weeks, this is a monitor that will perform well in a variety of use cases, whether you’re more inclined towards work or play. Colors pop nicely in bright games like Overwatch, and blacks have a rich depth in darker games like Path of Exile. As far as specs go, we’re looking at 400 cd/m2 brightness, a 3000:1 (static) contrast ratio, and 16.7 million colors. I/O includes one DisplayPort (1.2), two HDMI outs, and a headphone jack if you want to use the display as an audio source. Nothing super surprising there, no legacy outputs like DVI, and no USB options. The panel looks good from most viewing angles, and though I have seen better color accuracy in professionally oriented panels, it’s perfectly serviceable for a gaming display. There are several pre-selected profiles you can select from, including Gamer 1, Gamer 2, FPS, RTS, Vivid, and Reader if you’re looking at spreadsheets or text. If you don’t like these options, there is of course a full suite of settings that allow you to customize the panel’s profile until it looks exactly how you want, and even in a dark room looking a black video image, there was no noticeable light bleed, which is commendable for a display in this price range. At the end of the day, this is a VA panel, not IPS, but for the price, I have no complaints about performance. If you’re looking for an affordably priced Freesync, 144Hz panel, this is a solid choice. You can access the fairly robust set of customization options with the analog joystick underneath the display. This allows you to change inputs and adjust settings, like response time, motion blur reduction, and all the standard picture adjustment settings you’d expect. There’s also a crosshair option if you feel like “cheating” at your favorite FPS. The on-screen display is fairly intuitive, and though the addition of another button might help menu selection be a little less of a hassle, overall the control experience is solid and familiar, as are the options offered. This display is not as feature rich as its big brothers, the 850F and 850G-B, but the lack of FreeSync 2, G-Sync, and LED backlighting are hardly a deal breaker. The 650F focuses on the basics of this line, and still retains the best aspects, including the solid design and excellent panel. If you’re looking for a 1440 resolution panel with a 144Hz refresh rate and plenty of screen real estate, the LG 32GK650F-B is a great choice.